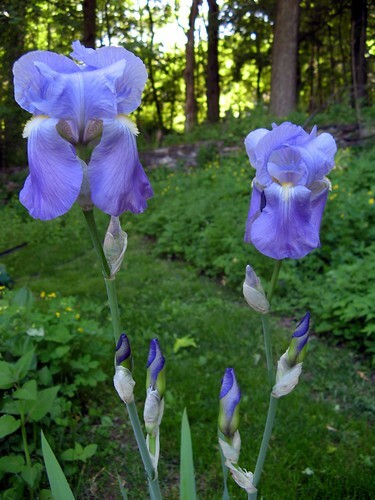 giant iris, originally uploaded by jahansell. They're not my favorite flower, honestly - sort of blocky shape, no scent, something kind of pushy about them, muscling in with their big shoulders. But yet they are spectacular when they are the tallest thing in the garden and glow this intense blue! But I had to take some pictures in my friends garden and I loved them (as well as your photo)! I'm glad that you keep posting! Please give those irises another whiff...their scent is absolutely heavenly! Mine are ready to pop...thanks for sharing what I will soon see. I love the color.